Look what I've found, Harry Potter fans! 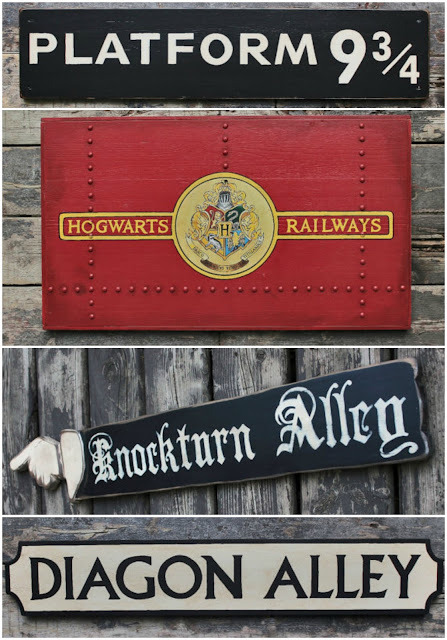 More Harry Potter signs though this time they aren't posters but they are real, handcrafted wooden signs. Canadian artisan Pete Vassilakos hand makes these signs in his home and you can see for yourself how handsome they are! They are not mass produced. Instead, they are carefully crafted by hand with attention to detail. In the case of the Hogwarts Railways sign, which I think is my favorite, each rivet was placed by hand. The logo was hand painted and the crest an applied print. Of the Knockturn Alley sign one buyer said, "Honestly I did not expect this to be of such high quality. This is truly an art piece. I purchased this to hang outside for Halloween. However, once I saw the quality of this item I knew I couldn't hang it outside. Even my wife insisted that we hang it up in the house. And, it looks fantastic! Amazing attention to detail." Need I say more, Harry Potter fans? Pete sells his work on Etsy under the name Vass Designs and you can find his Harry Potter works by clicking any of the photographs on this page or by visiting this link. 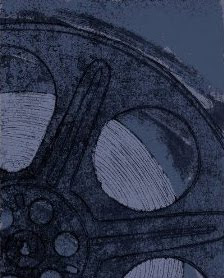 However, his creations are not limited to Harry Potter but also includes themes like nautical, polar exploration, sports, war time, old west, space and Star Trek and Star Wars. You will find them all on Etsy. I am looking forward to Etsy's Made in Canada national pop-up event on September 24 though I have never attended an event before. If you are interested in checking out the event yourself, you can find the list of locations on Etsy here. You'll see cities listed from coast to coast including Halifax and Vancouver and many cities in between. What a great opportunity to support Canadian artisans! If you like my posts and you love movies, don't forget to subscribe by using the little box on the right. See all of Pete's work on Etsy by clicking right here. 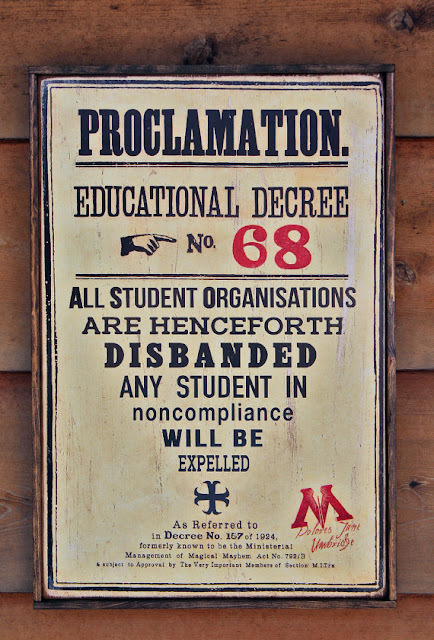 These Harry Potter-related signs are absolutely awesome! I can't think of a better gift for the Harry Potter fanatic. 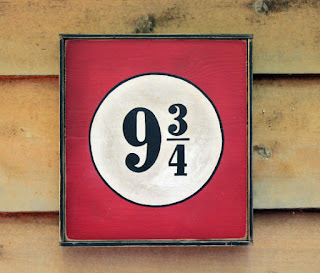 How fabulous and what a truly awesome find for Harry Potter fans! I would much prefer the hand painted signs to posters on the walls and I know my son will love these. I agree ladies; these are very nice and much nicer than many posters though of course because they are carefully handmade they are more expensive. Thanks for visiting & commenting. I appreciate your support. Thanks for the wonderful review Brenda! I truly do enjoy making these items, and there are many more to come soon!